Here are a few tips for anyone thinking about spicing up his drum parts. Some of them are for more advanced producers, while some of the others will be suitable for less advanced readers. However, this article is not for beginners. 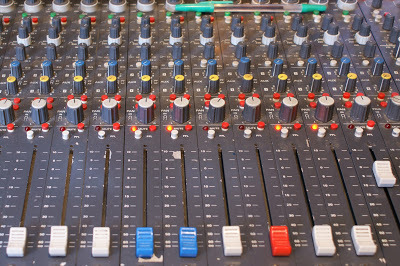 You have to know at least the basics of MIDI programming, EQ or compression. This is all true, but it’s not enough. We can’t really make any drum track sound “real” this way. All we can get is an impression of a lumpy, raunchy drummer who has no control over what he plays. It’s actually not that bad when it comes to punk music, but imagine that you make a jazz drum beat – such cheap humanisation tricks will simply not work. There is a sort of workaround. When you’re recording your track, consider playing your hi-hats or snares directly from your MIDI keyboard without quantizing them. You want to be very careful doing this, as you still need to be close to the correct rhythm, but sometimes having some variation gives your drums life. speeds up when playing busy grooves. Most musicians try to eliminate these tendencies in the process of learning to play with a metronome, but it’s impossible to get rid of them completely. They are always present (and it’s good!). The best musicians are simply able to control them. But they are also perfectly aware of the fact that total elimination of the natural tendencies is not necessary.Keep all of this in mind when programming the drums- you can really benefit from that. For example, if the song contains a quiet section or a part in which the drum beat stops, keeping the tempo steady may even sound unnatural. If your audio sequencer allows changing tempo within a project, I encourage you to experiment – in the softer part try to slow down the tempo from 1-2 ticks (ballads) to even 10 BPM (fast songs) and then, when the groove kicks again, back to the original tempo. If you don’t overdo it, it will result in much more natural sound than keeping exact the same tempo throughout the whole song. Electronic music producers often underestimate the role of overhead microphones.Those mikes are used in sound recording and live sound reproduction to pick up ambient sounds, transients and the overall blend of instruments. They are used in drum recording to achieve a stereo image of the full drum kit, as well as in orchestral recording to create a balanced stereo recording of full orchestras. In the real world drummers often record their tracks in a special drum room where microphone feedbacks make a certain atmosphere. Our brain interprets it as a “real” sound. Live acoustic drums sound impressive. Sound engineers have a lot of trouble isolating each instrument from the others. They use separate mikes to capture each drum, various microphone settings and placements and play around with special plexiglass walls/partitions. Full separation is not possible though and thanks to the fact, that one instrument gets into the other’s mic, your brain tells you that you listen to live drums. It’s not easy to get such an effect using samplers and programmed drums. So, how can you emulate overhead drum mics in your DAW? You can try to run the drums through three carefully tweaked reverbs. I send kick, snare, hats and loops to AUX 1 bus and highpass it to get frequencies above 3 kHz only. Then I apply a drum room type reverb – this way the high frequency band sounds as it could sound recorded through overhead mic. On AUX 2 I use high- and lowpass filters and filter out freqs below 400 Hz and above 2.5 kHz. Then I apply the same drum ambience reverb. This allows me to get the sound of the middle band typical for snare mic feedback. On AUX 3 bas I’m dealing with bass. Again, I use LPF to remove freqs above 300 Hz. And then I apply drum ambience reverb. In the first example there is a normal reverb applied to each track, and that’s pretty much what everybody is doing. It’s ok, but something is missing. And the second example is the same drum track with “overhead” track blended with the original signal. Remember that you can always come back to each channel and set a different send level for every AUX. What else one can do with the overheads track to make it more realistic? You can use tips from my previous article about creating space and depth in the mix. For example – by using various tricks that I’m writing about you’ll be able to make our “overhead mics” sound like it was a bit more distant from the listener than “close” mics. PEAK and RMS modes of the compressor. A range of cool effects can be created by putting a compressor / gate on the overheads channel and keying it from the kick, snare or hi-hats. Key and frequency-conscious gate from the snare that emphasize the airy overhead signal with each snare hit; or compress the overheads via the kick to draw the sides in with each kick hit.What else? Applying a stereo widening plug-in to the channel overheads can work wonders for the sense of breadth. Two things to avoid with overheads, though, are overly heavy EQ boosts above 10kHz and compression (though a touch of compression can be effective for a vintage-style sound). And if your overheads unexpectedly sound weird in any sense alongside the close mic channels, do not forget to try flipping the phase. Today you can find a swing parameter on almost every DAW and on most drum-related electronic instruments. Swing is a function that applies most easily to a quantized beat. The percentage of swing that you apply moves certain hits of your rhythm “off the grid” just enough to create a swinging feeling in the drums. Most devices offer very subtle to very extreme settings. It’s worth noting that swing functions apply differently on different instruments and programs. For MPC-style swing, Akai’s hardware is hard to beat. But Propellerhead’s Reason does come loaded with groove templates that emulate the Akai MPC 60 (as well as numerous other machines.) 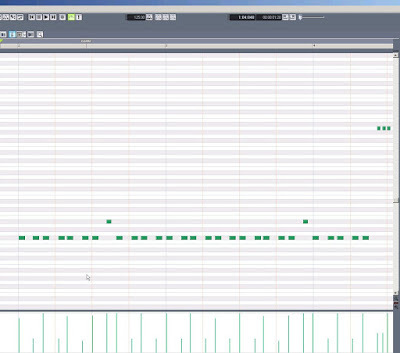 Ableton Live also offers groove quantization that can read imported audio, MIDI, and groove template files. Native Instruments’ Maschine platform offers extensive swing settings that can be applied to groups in your project as well as individual sounds.However, there is another, less known yet very interesting way to create a swinging funky groove – using a tracker type program. Unfortunately, you need to learn something about trackers first. It may be difficult for those who never had any experience with them, but from the other hand many of today’s producers took their first musical steps playing around with Amiga Protracker in the early 90s. And those who are not familiar with the topic can easily find suitable tutorials. Trackers use a very peculiar speed system that is based on ‘ticks’ rather than BPM. The ‘tick’ is a subdivision of pattern row. The 6 speed would make each row last for 6 ticks’ worth of time, while 7 would be slower, with each row lasting 7 ticks. To make things even more messy – there are also a BPM-based settings in trackers, but let’s ignore it for now and focus only on speed here. The “F” command alters the speed of the song. By quickly doing it one will get some kind of “swing” feel. Try dry ratios as 8 and 4 or 3 and 5 for more pronounced swing. The question is how to incorporate the tracker-made groove of into our DAW? Some trackers (eg. Renoise or ModPlug) allow to use VST Instruments and effects, so you can actually produce the whole song in the tracker. 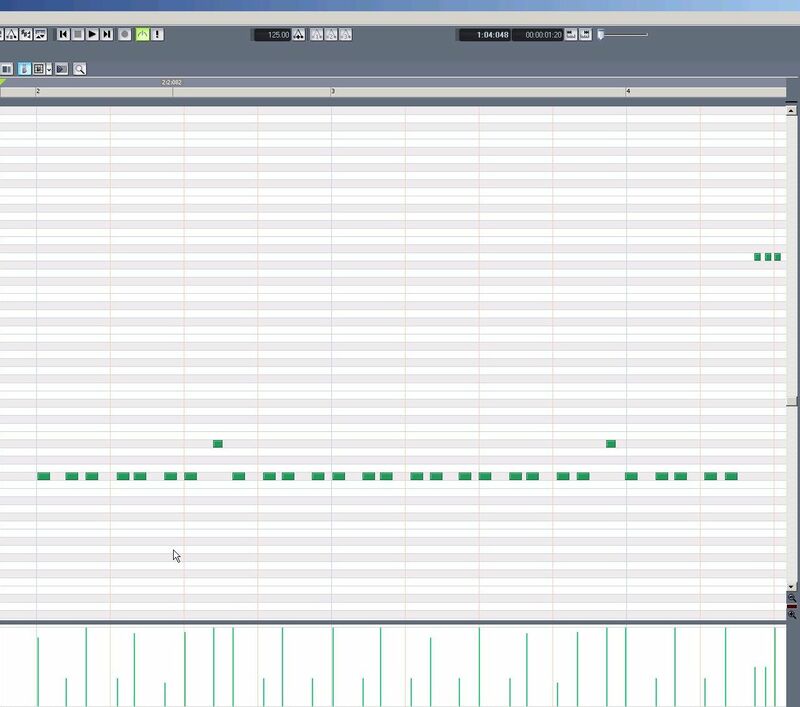 Another way is to export the MIDI file eg ModPlug Tracker. Yet another is using XM2Midi that converts the resulting file format MIDI tracker. Some producers share the opinion that if there’s a need to reach for an EQ while mixing the drums, it means that something went wrong: the microphones have been set or selected badly, drums were not tuned properly etc. With the huge variety of samples available today, it’s really difficult to indicate the methods that will work in any situation. 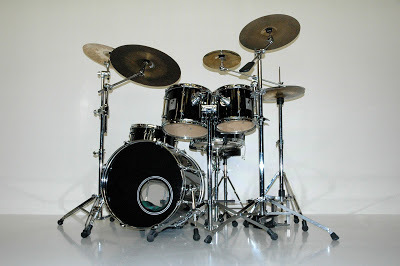 However, analyzing carefully the sound of a typical drum kit, you can easily identify key problems for each instrument.Let’s start with the kick drum. Although most of its energy lies in low frequencies, it often covers almost the entire audible spectrum. The freqs responsible for the deepest bass and powerful sound are located in 30-100 Hz range – and if there is no really low bass in your mix, it is usually the kick that covers this area. Be careful with the high pass filters here – sometimes setting the cut off frequency few Hz’s too high can make the kick loose its punch. The actual “hit” of the kick drum is most noticeable between 100 Hz to 200 Hz – these frequencies are responsible for the “thump”. Using a narrow bandpass filter or… a tuner (read below) to find its most distinctive frequency, identify kick’s note value and then check if it does not conflict with the bass line. Fix the problem if needed. Then you need to have a look at the 200-1000 Hz range. Too much energy here muddies up the mix fairly quickly. But if your bass drum occupies mostly 250-300 Hz, this doesn’t necessarily have to be a reason to worry: this is how the warm, soft kick drums from the 70s soul records sound like. It is also worth checking whether your bass drum has a “click” somewhere around 1000 Hz, because that’s what makes it more present on small laptop or portable radio speakers. Then, between 1000-4000 Hz there is an attack that actually determines the character of the kick drum. One good trick is to boost 2.5 kHz freqs a bit; this way we can add more presence to the sound, without changing the overall character of it. If we find the sound too dark, try to add few db’s between 4-8 kHz. Frequencies above 8 kHz usually bring very little or nothing to the sound of the bass drum – in most cases all we have here is only noise and the best we can do is apply a low pass filter to make more room for, say, hihats. The snare sounds best; rich and full that is, when frequencies 120-250 Hz are somewhat emphasized. Everything below this range can be EQ’ed out with high pass filter. If, however, we believe the snare sound is too powerful, we can always set the cut-off frequency above 120 Hz. Or even higher. In club music there is often a clap instead of a typical snare drum and it hits together with a kick, therefore a lighter, brighter sounds work best. A general rule is: the slower the pacing is, the deeper and longer the tail of the snare should be. Beware of 300-400 Hz range, which is responsible for so called “boxy” sound. Unlike the kick drum, the snare attack is located slightly higher, typically in 2-5 kHz range and this is where one should look for that resonant, crisp snare sound, a bit similar to branch cracking. The 5-10 kHz range is responsible for the brightness – I’d recommend the check it if the snare is overpowering the hats. Pay also attention to frequencies above 10 or 12 kHz – too much energy here results in messy sound of drums. It’s worth noting that toms and congas are often treated similar as snares – it all depends, however, of their pitch and character. Just remember that the base sound of toms is usually located slightly lower than snares. Try to make some cuts around 300 Hz first and boost 5 kHz range. For the fullness of sound look around 100 Hz. Hats usually don’t need the low end at all. Boosting the lower frequencies at around 150-300 Hz makes sense if you need to emphasize the sound of the drum stick. If hihats sound sharp, annoying or simply unpleasant, the easiest way to fix it is to find the problem freqs (usually located somewhere between 1-5 kHz) and simply remove it using a narrow EQ. What is a real challenge is to shape the sound of hihats in top end – it’s always a matter of taste and artistic vision. If you are aiming for a bright, airy sound you can play around with 8-12 kHz and above. Remember that this range is also extremely important for vocal tracks, though! Sometimes it’s also beneficial to play with 15-16 kHz. But do not go insane with the top end – too much 10k+ ends up with a very amateur sound. 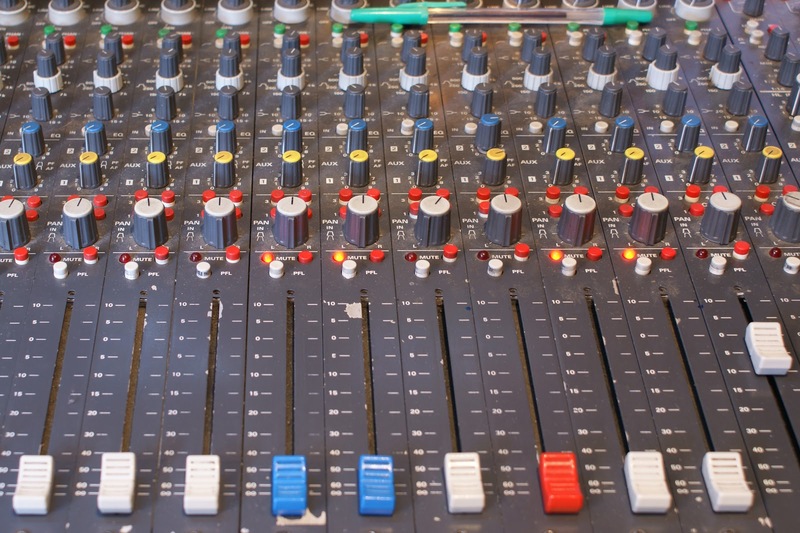 Many pop producers start the mixing process with the drums and work on them until they get a full, dynamic sound. It’s hard to imagine a club banger without a solid rhythm base, right? When I listen to my old mixes, I’m sometimes actually shocked how detuned the snares or kicks are. They often don’t fit the key of the song at all. Figuring out the drum tuning few years later was like a discovering a new world for me.I usually just use a spectrum analyzer with a high resolution – with most drums you can fairly easily see where the fundamental resonant frequency is. Often times I use all sorts of misc. sounds that are detuned and lowpassed to layer under the kick and under certain circumstances it can be crucial to tune those sub hits to whatever other sound they’re adjacent to, frequency-wise, so they aren’t atonal or causing dissonance from phase interaction. It’s something you don’t notice on average nearfield monitors. But that dissonance becomes very apparent when listening with a subwoofer. Here’s C-Tuner from C-Plugs. Simple, good and free. Using an EQ, you bring out the frequency corresponding to a note. You can use a calculator, such as “ToneCalc” – or just do an online search for frequency / Hz / tone calculator. A really cool effect I learned when pitching toms is to duplicate the tom, shift it up an octave (and a 5th or 7th (if you like)) and use a pitch envelope to modulate down (usually at a 1/16 or 1/8 note interval). It gives the sense of “tightening the head” while you “strike” the tom. The more prevalent you make the effect, the more 80’s it sounds and the less prevalent, the more “real” it sounds. The prevalence factor is how much you choose to modulate the pitch of the 5th and/or 7th layer and of course how loud it is compared to the original. Another thing worth consideration is using an autotuner. It can work well for more than just vocal work. Try it! It’s an EQ trick based on a common usage of the overlapping bands on the Pultecs, where the cut is narrower than the boost, but both bands are centered at the same freqs. So what you’d do is boost a little at 100Hz, then cut at 100Hz as well. The result is a wide boost with a notch in the middle to de-emphasize the center freq, so you end up with these two boosts above and below 100 with a shape that can’t be replicated by pushing two different freqs.Why cut & boost at the same time? Either you want more or less – so what is the purpose of using both at the same time? Or is it that the ATTEN lowers everything above the selected freq & vise versa on the low EQ? In theory, yes, cut/boost would tend to cancel each other out, while in the case of the Pultec the reality is a bit different. But in a cool way. The venerable Pultec EQP-1A Program Equalizer and it’s sibling the MEQ-5 Mid Band Equalizer when used together (Pultec Pro) provide a well-rounded EQ palette. This combination is still standard fare in recording studios and was once widely used in mastering sessions. The first Pultec (EQP-1) was first introduced in 1951. Through many iterations the basic design remained through the late 70’s/early 80’s. Every Pultec was hand made to order. The build quality and design of all the Pultec products was unparalleled. Unique simultaneous boost and cut. Dial in dangerous amounts of boost with incredibly musical results. Smooth, sweet top end character. Artifact-Free EQ even at high boost settings. The Pultecs are known as magical tools that improve the sound of audio simply by passing signal through them; but who wants to leave it at that? In the documentation supplied with hardware version of the EQP-1A, it is recommended that both Boost and Attenuation not be applied simultaneously to the low frequencies because in theory, they would cancel each other out. In actual use however, the Boost control has slightly higher gain than the Attenuation has cut, and the frequencies they affect are slightly different. The EQ curve that results when boost and attenuation are simultaneously applied to the low shelf is difficult to describe, but very cool: Perhaps the sonic equivalent of a subtle low-midrange scoop, which can add clarity. A great trick for kick drums and bass instruments. I’m using NastyLF from Bootsy, which, again, is good and free. Unfortunately it’s not developed anymore and you have to spend some time digging the Internet to find it. Try to set cut and boost frequency to 40-50 Hz – it gives a nice “oomph” to the kick drum. See the examples below.